We’ve worked with both global Fortune 500 companies and high-growth startups to transform their sales & marketing strategy, operations, and results. 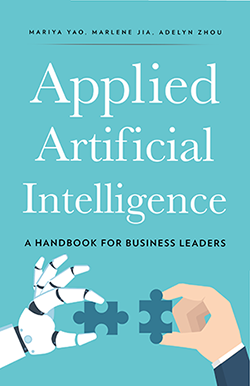 We also speak at leading industry conferences like CES and SxSW and recently released our book Applied Artificial Intelligence: A Handbook For Business Leaders. Applied Artificial Intelligence is a practical guide for business leaders who are passionate about leveraging machine intelligence to enhance the productivity of their companies and the quality of life in their communities. If you love driving innovation by combining data, technology, design, and people to solve real problems at an enterprise scale, this is your playbook. There are plenty of technical tomes on the market for engineers and researchers who want to master the nitty-gritty details of modern algorithms and toolsets. You can also find plenty of general interest content for the public about the impact of AI on our society and the future of work. This book is a balance between the two. We won’t overload you with details on how to debug code, but we also won’t bore you with endless generalizations that don’t help you make concrete business decisions. Instead, we teach you how to lead successful AI initiatives by prioritizing the right opportunities, building a diverse team of experts, conducting strategic experiments, and consciously designing your solutions to benefit both your organization and society as a whole. Marlene guides global customers such as LinkedIn, Paypal, L’Oreal, and WPP on enterprise AI innovation. 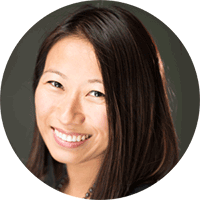 Her expertise in enterprise software and best practices helps corporations successfully evaluate, develop, and integrate emerging technologies. Prior to Metamaven, she built go-to-market sales teams at high-growth companies like UStream, Wizeline, and Sales Bootcamp and was COO of Xanadu, a leading strategy and design firm in emerging technology. She’s recognized by INC as a top 10 keynote speaker and by Entrepreneur as a top 5 bot expert. Marlene studied economics at Northwestern University and has been a serial entrepreneur ever since. Marlene’s talent is in building effective organizations that leverage both human and machine intelligence. She loves helping executives improve not only their productivity, but also their collaboration, communication, and creativity. As a researcher and “AI designer”, Mariya helps executives gain mastery over technical concepts and effectively leverage machine intelligence to transform products and businesses. She speaks internationally at conferences like CES and SxSW, writes for Forbes about the interplay of human and machine intelligence, and is Editor-In-Chief of TOPBOTS, the largest publication and community for enterprise AI professionals. 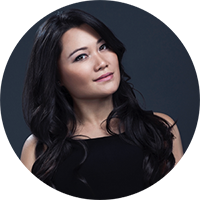 Prior to Metamaven, she was Founder & Creative Director at Xanadu, a design & innovation firm building emerging technologies in mobile, IoT, and VR for global companies. She studied Computer Science and Mathematics at Duke University. Mariya is passionate about increasing diversity and inclusion in STEM and the AI industry. She also loves educating and empowering both technical and non-technical leaders to leverage machine learning and automation to improve their businesses and communities. Natalia became interested in AI as a tool for examining how well existing social science theories actually performed against the collected data. Her research has included examining the attitudinal and behavioral correlates of protest across continents with machine learning, using natural language processing to perform a head-to-head comparison between computer-coded and human-coded content analysis, and simulating the spread of fake news with agent-based epidemiological models to study how best to stop its spread. 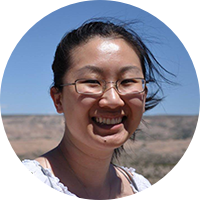 In her spare time as an experienced writer and technical editor, Natalia loves to gets people excited about practical applications of data science and machine learning. Natalia received her undergraduate degree in Computer Science from Duke University and her PhD in Political Science from the University of Illinois at Urbana-Champaign.